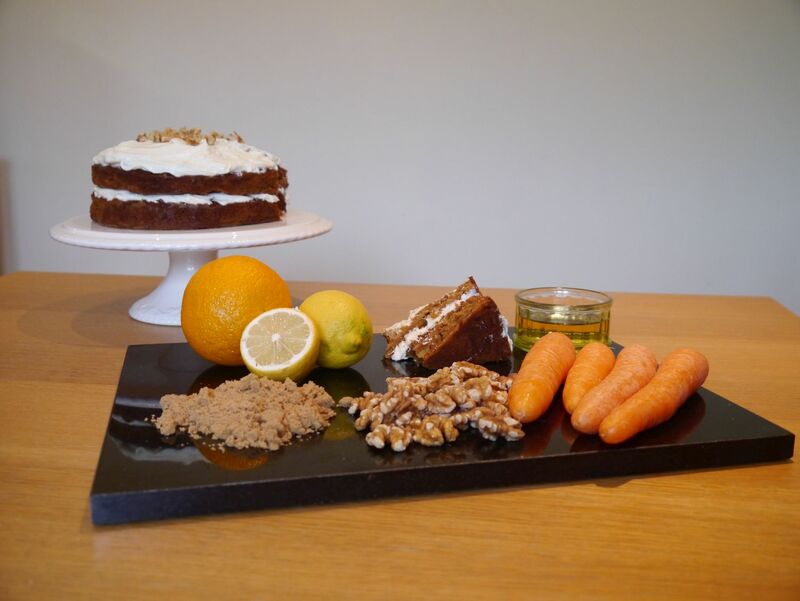 This carrot cake is adapted from the cake I made for Simba the Lion’s birthday a couple of years ago. As well as using lemon juice to sour the milk in this recipe I also added some orange juice to increase the range of flavours. 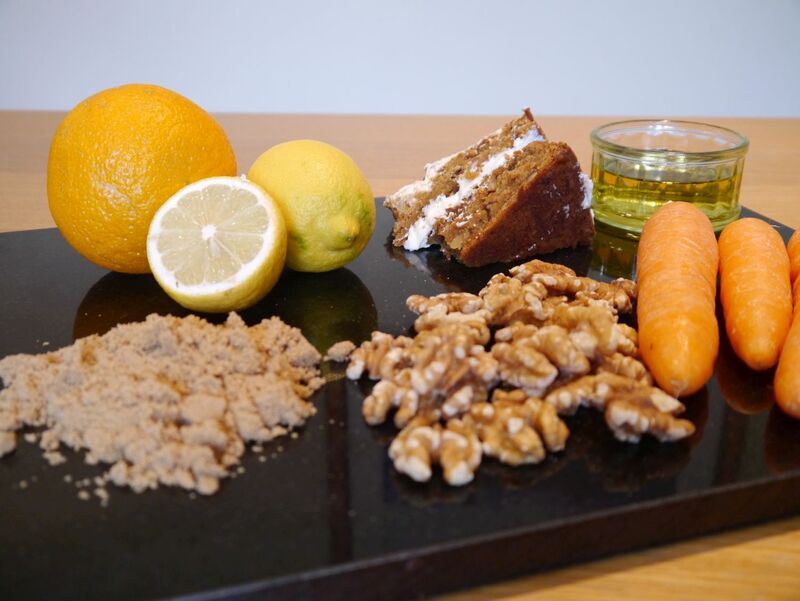 Originally I was just going to make a showstopper Winnie the Pooh cake and iced buns this weekend but I took a carrot cake to work last weeka nd my children asked if they could make another one for them to eat. 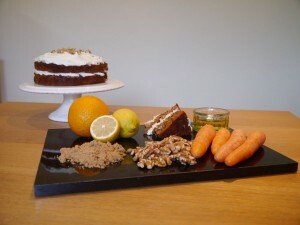 They really enjoyed the weighing and measuring and apparently it’s the nicest carrot cake ever!!! Add the lemon juice to the milk to sour it. (Alternatively you could use buttermilk). Add the orange juice to the milk also. Place the sugar, eggs, soured milk, oil and vanilla extract in a free-standing mixer and beat to combine. In a separate bowl combine the flour, bicarb, baking powder, cinnamon, ginger and salt. Slowly add the dry ingredients to the wet and continue to beat until smooth. Add the grated carrots and chopped walnuts then stir by hand to distribute evenly. Place in the preheated oven for about 40 min or until a cake tester / knife comes out clean. In a free-standing mixer beat the icing sugar and butter together until combined. Add the cream cheese and beat at a medium speed for about 5 minutes until the mixture is light and fluffy. be careful not to over beat the frosting or the cream cheese will split and become runny. This entry was posted in Large cakes.